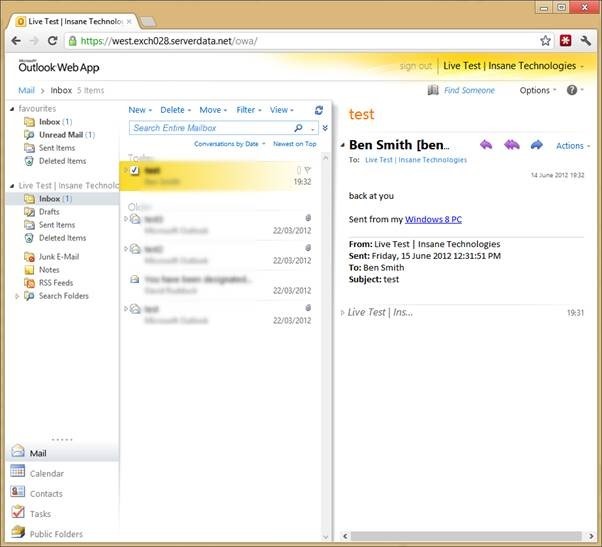 Outlook Web Access (OWA) for Insane Technologies Hosted Exchange. 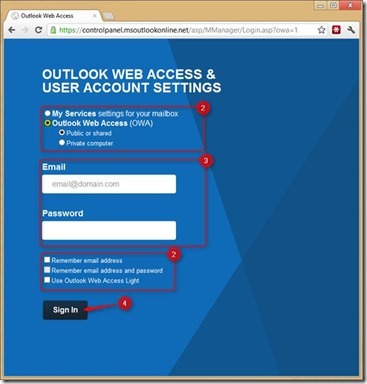 This Article will assist you in accessing your webmail for your hosted exchange account. 2. 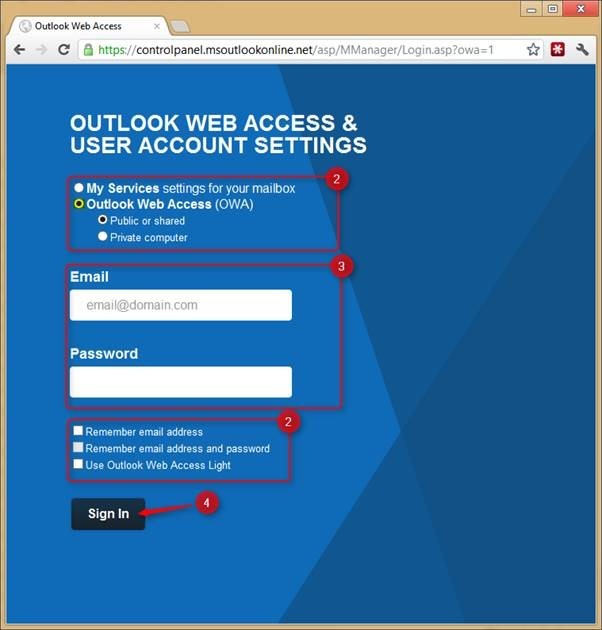 Ensure that Outlook Web Access (OWA) is selected. Choose either Public or shared or Private computer. 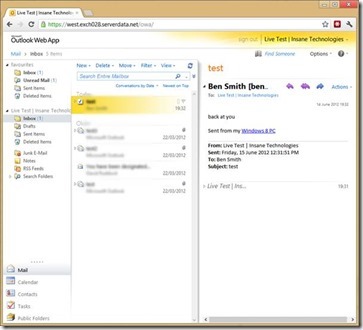 The difference between the two is whether or not the web browser will be allowed to Remember email address or Remember email address and password. These options are available below the log in details. 3. Enter the email address and your password. 4. Click on Sign In.